Great for larger properties, our bespoke combination conservatories allow you to combine two conservatory types for a conservatory that’s completely tailored to your needs. Combination conservatories are perfect for unusual site designs or property layouts, and can be used to combine traditional and modern designs. An extremely versatile option, custom designed conservatories can be built in the shape of a P, T or B, or even added to existing conservatories to create a multifunctional living space. 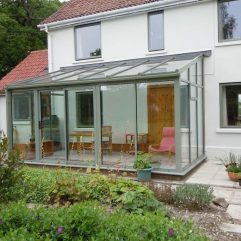 Are you interested in one of our Combination Conservatories? Then contact us today to discuss your requirements for a free no obligation quote.